Much is covered in the news about deforestation by humans, but less is widely known about the damage done to forests by pests and diseases. The Food and Agriculture Organization (FAO) produces an assessment of the world’s forest resources every five years. Their last report highlighted the effect that climate change will have on forests and their pests. There have already been incidences of pests spreading due to abnormally high winter temperatures. 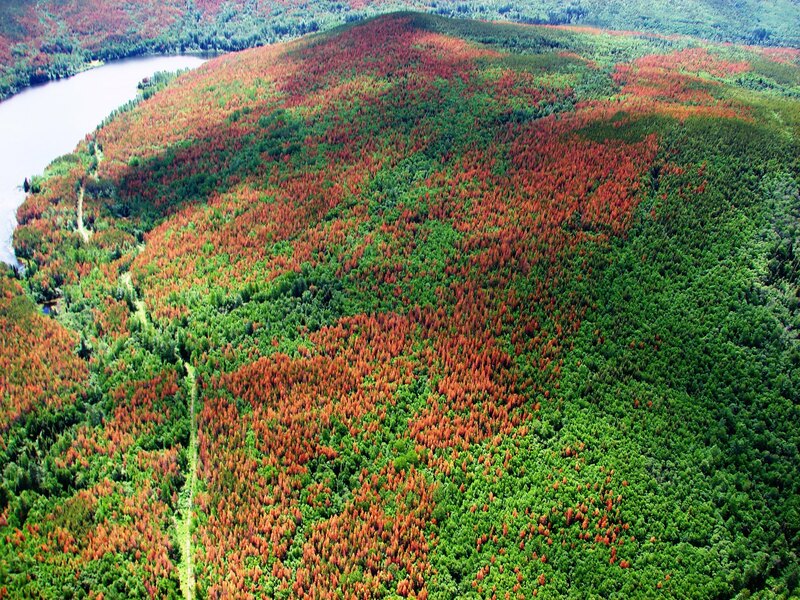 For example, the mountain pine beetle, Dendroctonus ponderosae, has been expanding its range in North America for the past fifteen years. Where it was once a pest of the southern Rocky Mountains and west of the American Continental Divide, it is now moving north and east where winters are becoming milder. When trees suffer climate induced stress from increased drought and extreme climatic events such as storms, they become more susceptible to damage from pests. Also, a pest that establishes in a new territory doesn’t always have the natural enemies present to keep its population numbers in check, providing opportunities for severe outbreaks. The increased connectivity between countries has facilitated the global spread of forest pests. Phytosanitary measures at borders are important now more than ever, to ensure that movement of pests within shipments is limited wherever possible. There is little information on the global distribution of forests pests, particularly in developing countries. This data is necessary to perform pest risk analyses and provide early warning systems for countries. With a changing climate, it is vital that countries work together to monitor and protect against these pests. FAO (2010) Global Forest Resources Assessment 2010. FAO Forestry Paper 163. Invasive species by sea: What can be done? One major cause of pest spread- sea shipment containers- was a key discussion topic on the first evening of the IPPC’s week-long annual meeting, the CPM8. 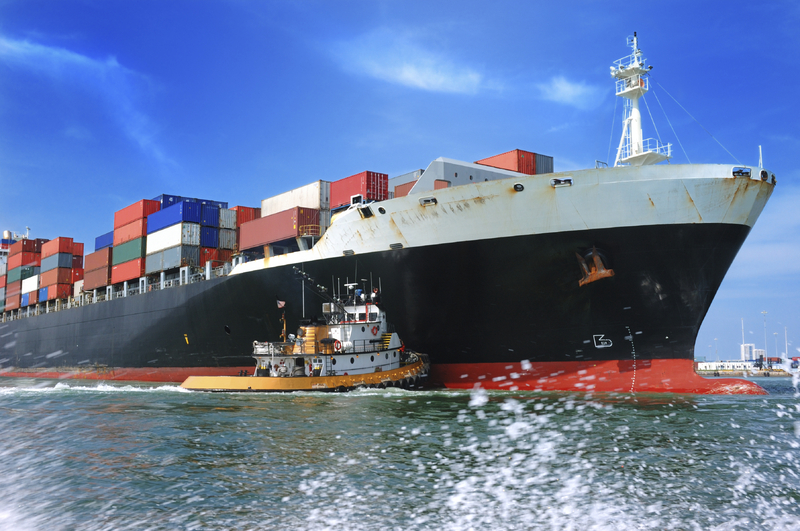 With over 35 million sea shipments each year, regulation is both crucial and extremely complex. “The complexity of the situation is such that the EU doesn’t hold a common position on the issue,” noted the EU delegate yesterday. One suggestion was to conduct a survey to clarify the nature and extent of the problem, but even that’s complex. “Surveys can be difficult, and one on sea containers gives me a headache just thinking about it” said the delegate from New Zealand who is the steward for the proposed standard.